Did you know March is National Crafting Month? 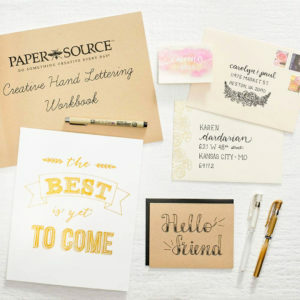 Celebrate at Paper Source at one of our new DIY workshops. Read below for an overview of each class and visit us online to reserve your spot now! 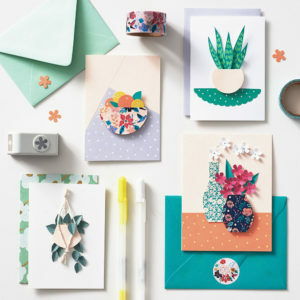 Learn the art of paper cutting and create beautiful handmade cards with trendy houseplants, miniature still lifes and other botanical elements. 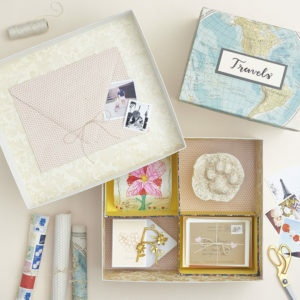 We will incorporate floral fine paper, washi tape and stickers to make your stationery set complete. Learn more about the meaning of colors and the significance they play in everyday life. 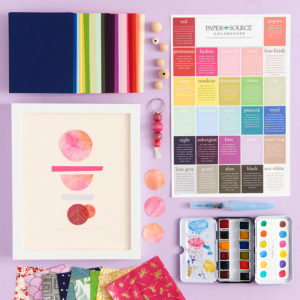 Find the color that you identify with the most and create handmade accessories inspired by your personal colorscope. 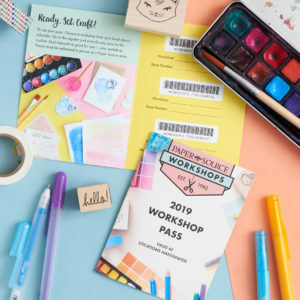 Learn to make your own charm, paper collage and tech wall paper so you can be surrounded by your power color wherever you go! Each month, we offer two opportunities to take one of our most popular workshops focused on hand-lettering! These classes vary by location but are a great way to perfect your penmanship skills or take your writing to the next level. Head over to our workshop page to see your local store’s schedule. We suggest using the drop down menu to search for your local store by city as the quickest way to register for classes. We also have classes for the kids! Our annual Kids Art Camp is still a few months away but if you can’t wait that long, sign up for the March Kid’s Workshop. Learn the art of marbling! 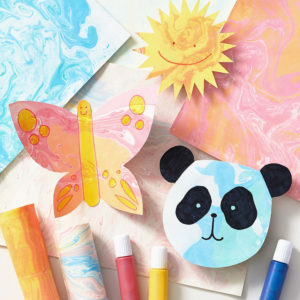 Create your own hand-marbled papers in a variety of colors. Then use them to create a colorful crafty projects! This class is intended for ages 7 – 14. Please would you offer these wonderful classes on Saturdays as I drive in from San Antonio. We do offer classes during the week and on Saturdays! If you are unable to make these times, contact your local store to organize a private workshop that fits your time!